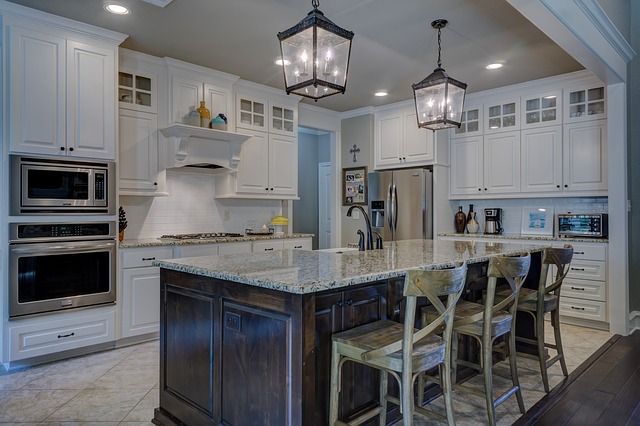 When confronted with the prospect of a $75,000 full-scale kitchen remodel project–contractors, designers, vacating the house for months–many homeowners start wondering if cheap remodels exist. Yes. Consider these tried-and-true secrets to cheap kitchen remodeling. If you apply all of these ideas, you can easily chop 40% or more from your kitchen remodeling bill. Most kitchens come in one of several pre-determined shapes; few kitchen designers ever do anything different, mainly because these shapes work so well. Whether the one-wall kitchen layout, corridor or galley, L-shape, U-shape, or so on, your existing kitchen layout probably works better than you may think. The problem may be more in the arrangement of your services within that shape than the shape itself. Anything that involves moving plumbing, gas, or electrical will jack up your budget and timeline. This often works hand-in-hand with the concept of retaining the kitchen’s footprint–but not always. You can retain the footprint, but might still end up moving appliances all over the place. One interesting thing you will find, though, is that you can still move some appliances without moving their hook-up. For example, a dishwasher can usually be moved to the other side of a sink, because the washer’s hook-ups actually come from that central point under the sink. Left or right? Doesn’t really matter. Along with bathrooms, kitchens are one place where the flooring really needs to perform. I would rather have a mousy resilient or ceramic tile that does the job well than a high-end hardwood that soaks up spills and drains my budget. Vinyl sheets or tiles are cheap and an easy DIY install. Do you really need that Tuscan marble? Whatever you do, make sure the flooring resists water – though it doesn’t necessarily have to be waterproof. Laminate flooring can often be installed over existing flooring, obviating the need for demolition. Here’s the really good news: stock kitchen cabinets are getting better and better all the time. No longer are you forced into a choice of three melamine-faced particle board cabinets. It’s easy to find kitchen cabinetry from places like The Home Depot, Lowe’s, and IKEA, in standard sizes. Far cheaper than custom cabinetry, and almost any general contractor or handyman can install it. Another fix that is even more “surface” is cabinet refacing. Kitchen countertops can break your budget. Concrete, stainless steel, and stone can get pricey. Consider ceramic tile. Laminate countertops, long the mainstay of cheap kitchen remodeling, are looking better nowadays. A complete kitchen rewiring project can take up 25% or more of your budget. If your existing system is safe and can carry the current load, consider whether you really need those big, power-sucking appliances like double-ovens, super-sized electric ranges, and ancillary appliances like trash compactors. It’s not that permits cost a lot of money. Rather, anything that requires a permit is a signal that this job has ratcheted up your costs. Plumbing, electrical, and changing exterior walls all involve permits. For example, in my area, a permit is not needed to lay a tile floor (not would it be necessary for most areas). But adding radiant heat below the tile triggers permitting. It’s like the domino effect. Unless you are a confident amateur electrician–properly certified by your jurisdiction to perform amateur repairs–adding radiant heat usually triggers the need for an actual, licensed electrician. 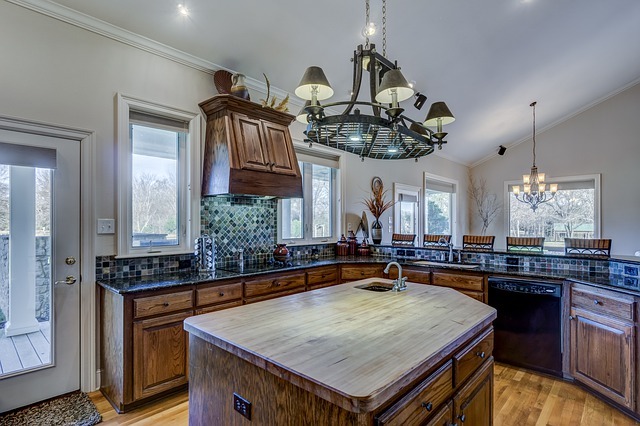 8 Remodeling Your Kitchen? See How Much Your Cabinets Will Cost Now! Remodeling Your Kitchen? See How Much Your Cabinets Will Cost.